App Settings can be found under More option. Click on App Settings to access. 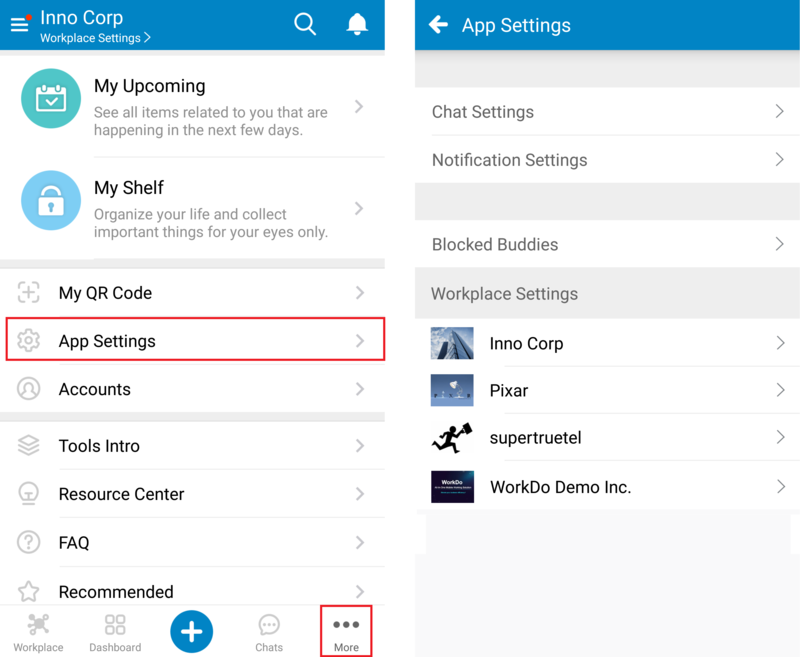 Here you can change your chat, notification and workplace settings. ← Congratulations to the Sweepstake Winner!